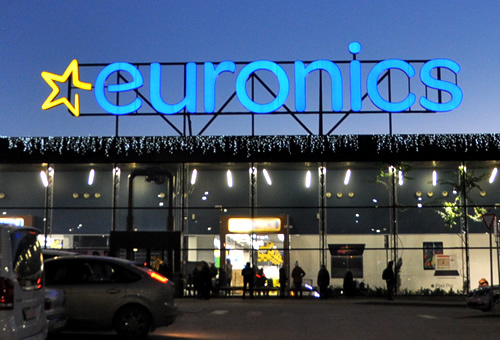 Euronics Stores are Independent Electrical Retailers. We have joined forces with other, like-minded, independent stores in the UK to create unrivalled buying power; allowing us to offer the best deals for our customers. Many of these are well known family stores that have been part of the local community for many generations. Others may be newer members attracted by the wide choice and support provided. 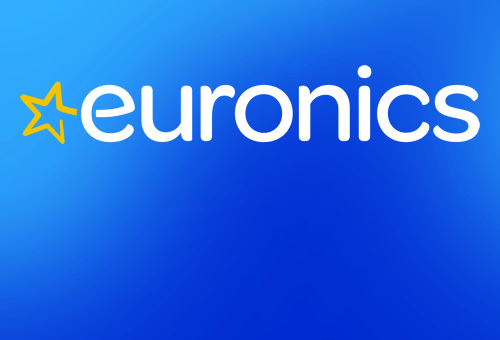 There are 30 Member countries across Europe with 10,000 specialist stores and branches, reaching 600 million consumers.Euronics aftersales customer service is widely regarded as being second to none; as all Euronics agents have a vested interest in ensuring the inherent values of the brand ethos: "We deliver, we install, we care", is endorsed for every sale made. This is proven to instil confidence in customers for domestic appliances when they need to make inforned buying decisions, and ensures that they return time, and time again. To view more information on our Carters Euronics stores please click below for the specific area store page. In 2010, Carters Domestic Appliances was voted the UK Euronics Store of the Year. This award was presented to us as part of the annual ERT awards held each October. The judging panel consisted of top personnel from influential bodies representing our industry today, including Euronics and Retra. Carters Domestic Appliances is a prominent member of Euronics, this allows us to price our products at a very competitive level. Many products cannot be found at a lower price anywhere on a Sussex High Street and FREE Delivery is included on every sale that totals over £150. Euronics stores are the result of Independent electrical retailers joining together, not only in the UK but in many countries in Europe, who as members of Euronics, the largest electrical buying group in Europe, join together creating heavyweight buying power. There are 25 Member countries in Europe and a total of some 8,900 specialist stores and branches. It is important to stress that every agent in each country is an expert in this field of electrical goods and must follow through on the brand ethos: We deliver, we install, we care. All the products available in our Euronics section are hand selected to represent not only some of the best in class products, but also offer great value. Morevover, Euronics have worked hard with key suppliers and manufacturers to bring you many 'Exclusive' products that you won't find anywhere other than your local Euronics specialist stores. Come and view our stock, from washing machines to fridge freezers, ovens and microwaves, to TVs and DVD recorders. We can offer you the latest product ranges from top name brands at a prices that will not break the bank. You will receive the best advice and deals on the latest technology with the personal backup service only an independent retailer can offer. At Carters, we are passionate about offering our customers the complete package. Our staff are well trained to explain the features and benefits of new and current models, and will also support you with technical advice, warranty queries, appliance trouble-shooting, and maintenance in the years to come. Although every effort is made to deliver goods in top condition, inevitably some products will develop a fault. That is why Euronics support us in offering all our customers a cast iron guarantee against defects in materials and workmanship from the date of purchase. Simply contact us and we will send out an engineer who will quickly resolve the fault. Many products are offered with a two year guarantee, but look out for some with longer, extended warranties of up to 5 years for that extra bit of peace of mind.